When I moved into an apartment near the corner of Reichenberger Straße and Glogauer Straße back in 2009, the landlord threw in a 300 EUR IKEA voucher to seal the deal. I love telling this story, because now, almost 10 years on, it’s barely believable. The forces that sweep over cities are powerful, complex and global. Watching my neighbourhood change so rapidly, I often find it hard to believe anything can stop gentrification. The market makes the rules, the speculators move in, and money wins in the end. That’s just the way things go, right? Maybe. Or maybe not. 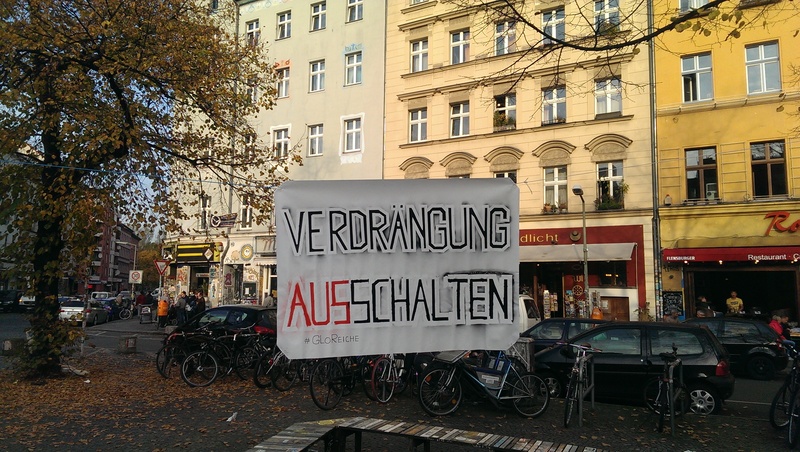 In this colourful corner of Kreuzberg, small actions seem to be making a big difference. Early in 2017, Filou bakery was threatened with closure. The owners wanted to kick out the Wagner family, who’d run the place for 15 years. Instead, however, following a storm of protest from bread-loving locals, the landlord made a u-turn and even came up with a more favourable contract for the tenants, securing their rent for another eight years. 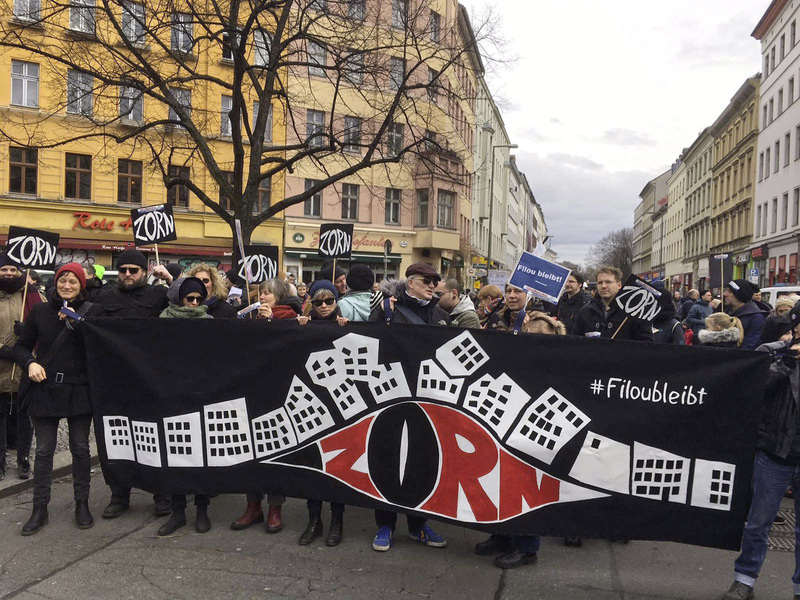 Kreuzberg has a history of resistance, and the anti-gentrification movement has long been present here. The success of Filou, however, has pumped new life into the campaign, and given rise to new initiatives like GloReiche, an informal network of volunteers supporting the neighborhood in the fight against investors and speculators. Following the unexpected victory, the initiative went on to help save Ganesha Späti on Liegnitzer Strasse, owned by the Gegatheesmaran family. “We were able to talk to the owners and come to an agreement. It’s amazing to see what can be achieved simply through conversation.” said Pfeiffer. “Otherwise each person stays within their own cosmos, and it’s impossible to see eye to eye.” She believes it’s dialogue, in combination with pressure from the public, that makes such positive outcomes possible. “If we can get people out on the street protesting, and get the media to pay attention, landlords are more likely to cooperate. They don’t want the negative press,” said Hartwig Hilgenstein, a fellow GloReiche coordinator. In our digital age of online petitions and armchair activism, the idea of an old fashioned demonstration almost feels quaint. Yet it does really seem to be working—at least when a certain set of factors align. 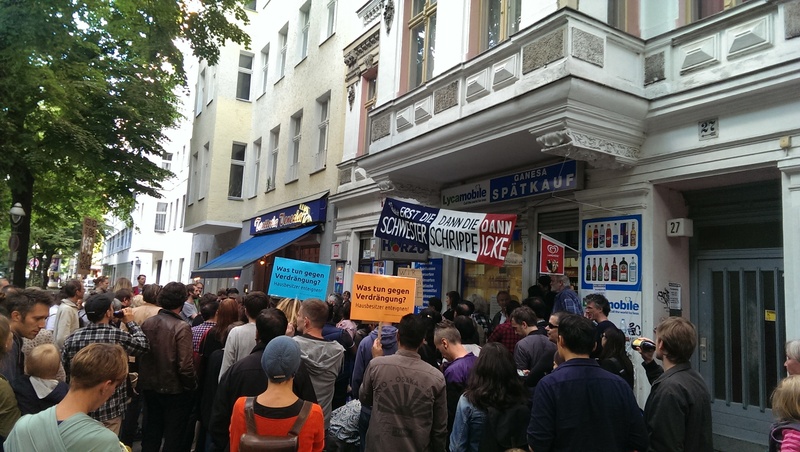 Conversely, when two social housing buildings on Maybachufer and Manitiusstrasse were served notice of a huge rent hike, residents were unable to successfully resist. “They didn’t have a lobby, or cute kids, they’re not a bakery. They didn’t fully understand how these things go, so they couldn’t build the necessary pressure or awareness,” Hilgenstein explained. Between 2008 and 2017, residential rent in Berlin went up by a staggering 76 percent, to just over 9 EUR per square metre. Alongside this price hike, there’s a huge shortage of affordable housing — the city needs an estimated 200,000 more apartments to accommodate its booming population. Meanwhile, luxury developments are springing up all over the place. “Companies are trying to profit from property,” said Pfeiffer. “That makes it hard to maintain social cohesion in the neighbourhood.” Unlike in the UK and other European cities, most people rent in Germany. Property speculation is a relatively new phenomenon here and it’s throwing the system out of balance. Rents are rising, but income remains relatively low. GloReiche also offers regular consultation evenings for residents at a small shop space on Liegnitzerstrasse, between 5 and 7 pm every Tuesday and Thursday evening. 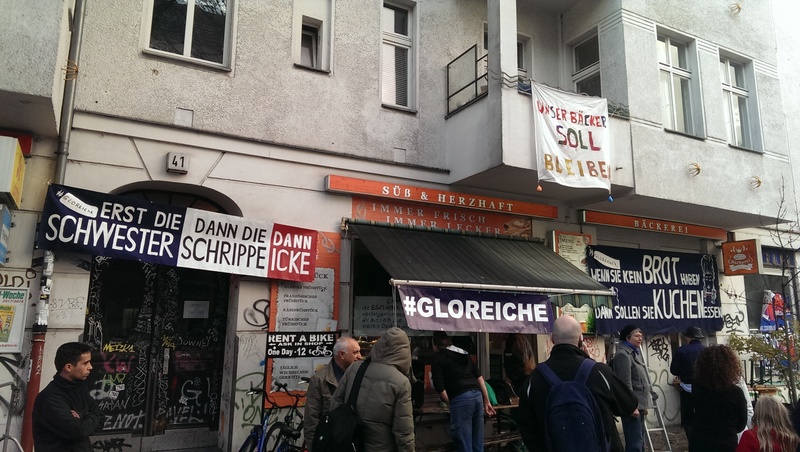 The goliath of gentrification is overwhelming, but GloReiche’s successes offer hope that some kind of balance can be maintained here. The team is surprisingly tiny, with just five core members, another 15 peripheral helpers, a 200-strong mailing list and partnerships with other initiatives, like Bizim Kiez. If they can achieve all they have so far, then just imagine what a larger and more diverse group could do. Many residents, myself included, live with a low level fear of the future. Change is, of course, inevitable: I personally welcome it wholeheartedly. But I would like to know that in, say, five years’ time, a loophole won’t lead to me losing my apartment. If that happens, I know I’ll have other options. But many others won’t. So I’ll be taking to the streets a bit more from now on — and there’s no shortage of opportunities to get involved. The neighbourhood belongs to all of us: rich and poor, left and right. It’s in everyone’s interests to maintain what we have, this special place of Spätis and mosques and cobblestone streets; of diversity and passion and a healthy disregard for the rules. The age-old paradox of gentrification is that a place becomes the victim of its own success, destroyed by the very qualities that make it great. Thanks to unique recent history, Berlin is still evolving as a city, learning from the missteps of others. Armed with these lessons, perhaps we can forge a different path. It won’t be easy, but if there’s anywhere it’s possible, it’s here in Kreuzberg. Natalie Holmes is a Berlin-based freelance writer covering technology, culture, society and sustainability. All photos courtesy of GloReiche.